Living in the smallest of towns with an array of hippies, farmers and artists, who are as different as they are close, can be taxing enough without the realization that some of Harmony’s residents may not be what they appear. When Michael and Kate uproot their lives in LA after a miscarriage and move to Harmony, CA (Population 18), they had no idea they’d be sharing their home with a spiritual apparition of a four-year old girl named Ruby. Life in Harmony entertains the thought that the trials we face happen for a reason, and sometimes it takes supernatural intervention for us to understand ourselves, our relationships and the world around us. 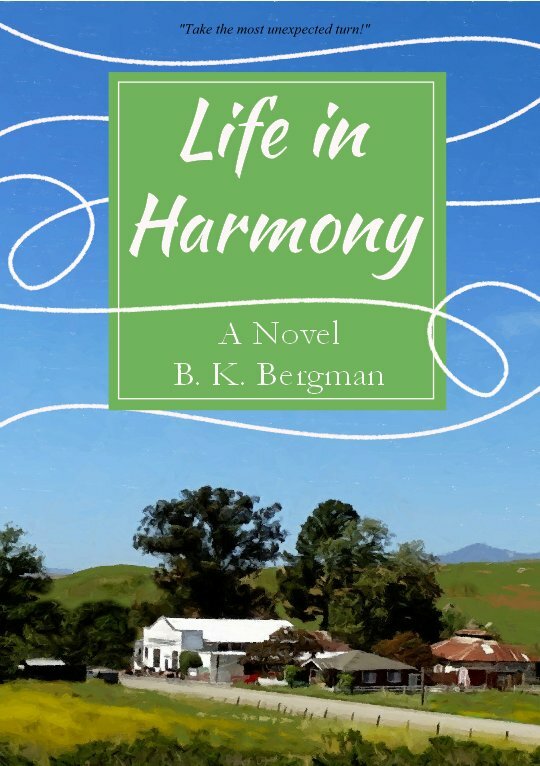 Life in Harmony is available now from Pangloss Sea. Click one of the links below to purchase the book today! To experience the world of Harmony please check out harmonynovel.com. The website is produced in association with VERVETIDE Media & Studios.